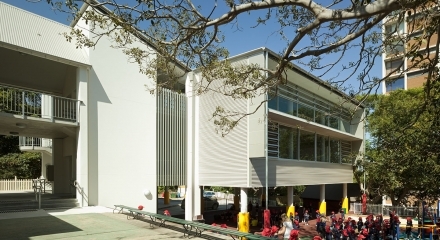 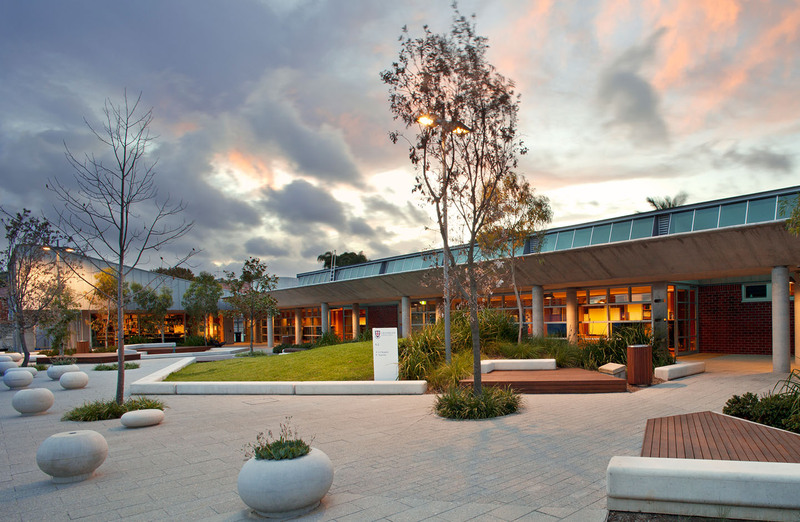 The Cranbrook Junior School K-6 is a new campus for Cranbrook School to cater for 460 students on the Dangar site in Rose Bay. 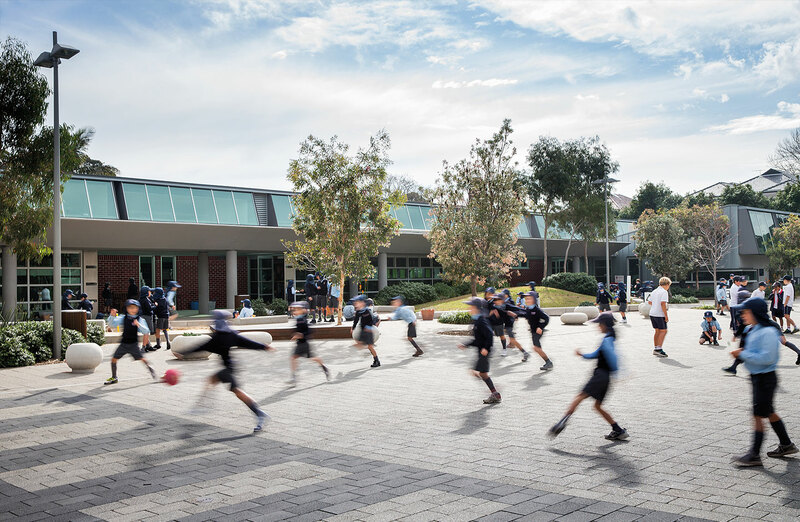 Built on the site of their former infants school, this new facility will accommodate Cranbrook’s junior school community on one campus. 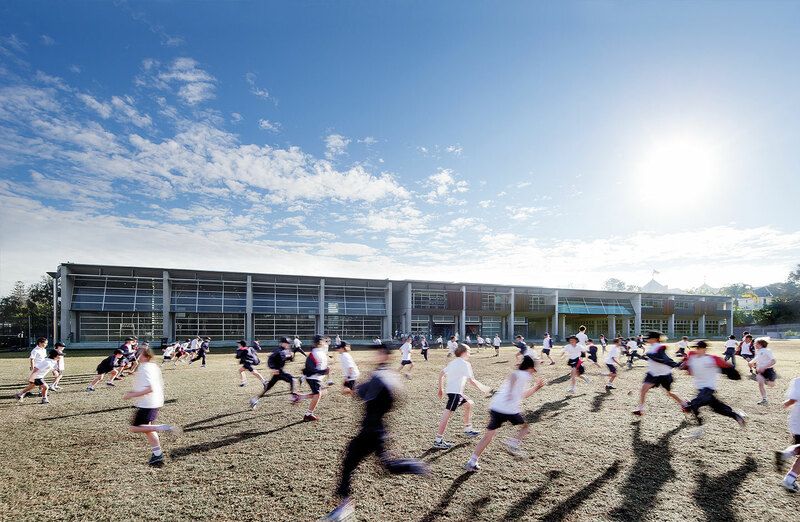 Envisaged as a ‘school in the park’, the design takes advantage of the playing fields to the south and new soft landscaping all around, with extensive glazing and axial views through the buildings to the park. 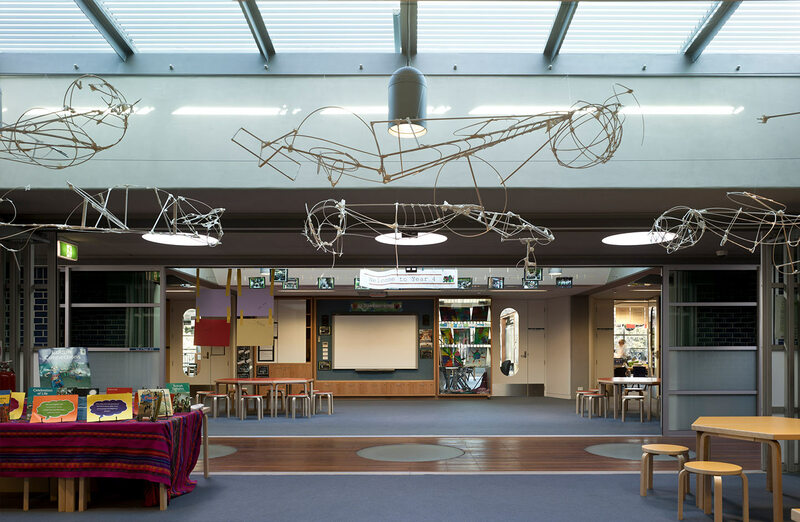 The design embraces the school’s teaching philosophy, based on Reggio Emilio principles, whereby the environment is seen as a child’s third teacher, after its parents and school teachers. 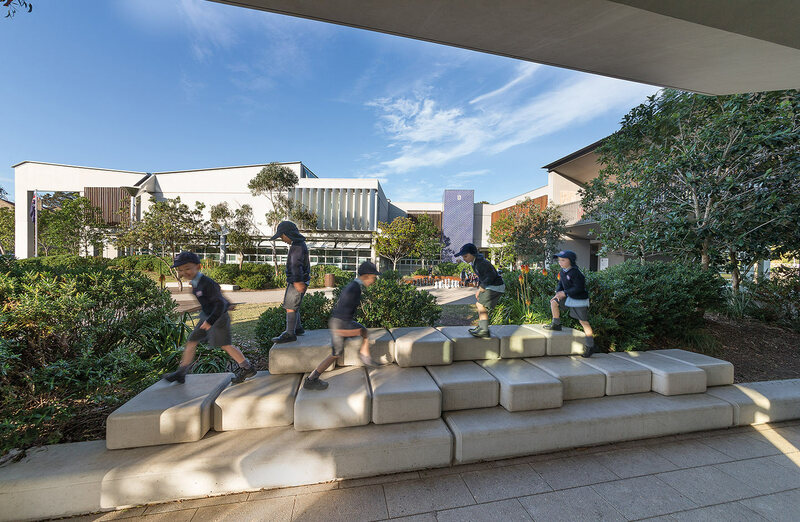 Durable materials such as off-form concrete and zinc cladding are softened with more domestic materials such as timbers and glazed bricks to create a playful, nurturing environment to support the learning experience. 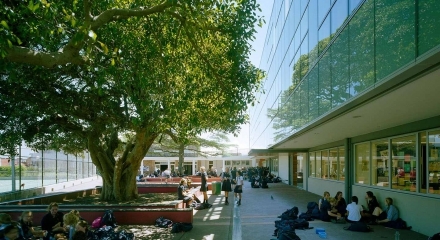 The buildings themselves ‘teach’ the students about the importance of their environment in their expression of ESD measures, use of light, expressive forms and spatial arrangements. 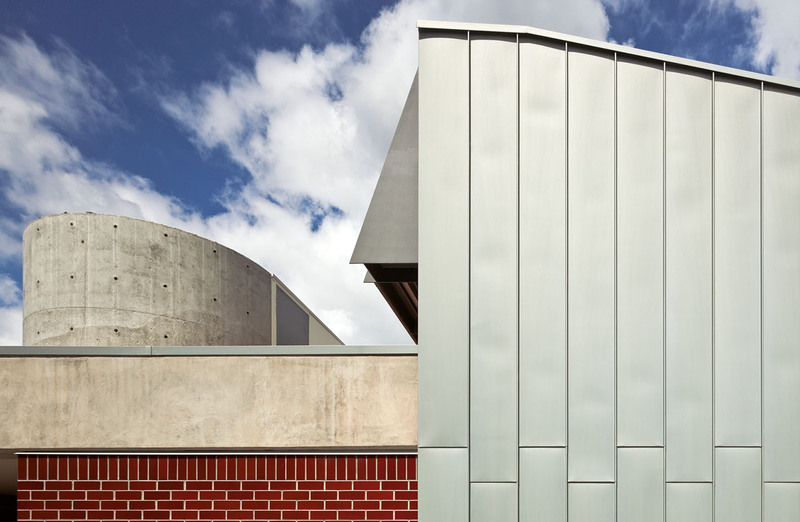 For example, the ESD elements include large stainless steel funnels which collect rainwater from the cantilevered concrete gutters, drain to a rainwater harvesting tank under the tennis courts. 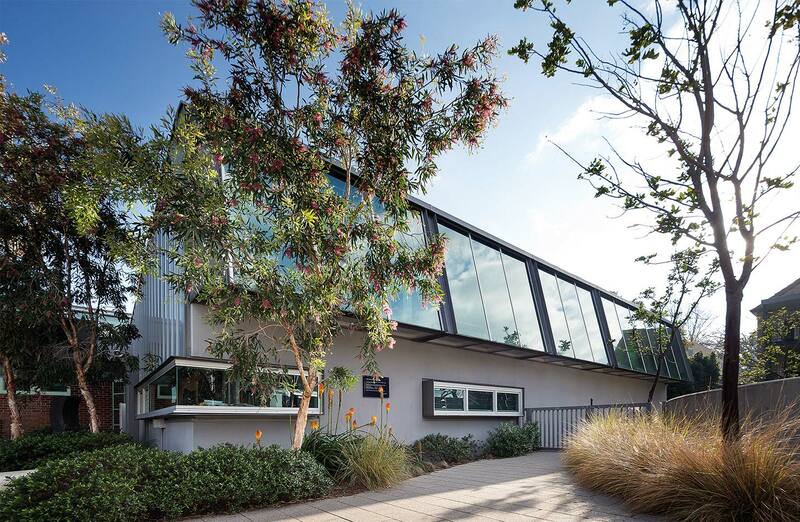 Water harvesting, passive control of solar heat gain, natural lighting and natural ventilation are also used extensively to minimise energy consumption. 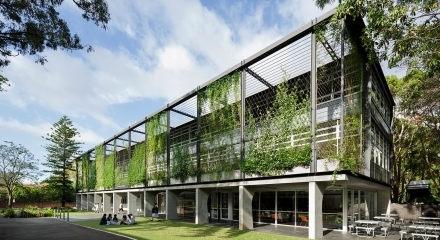 Within the buildings there are ‘learning spaces’ in a variety of sizes and configurations in addition to conventional classrooms. 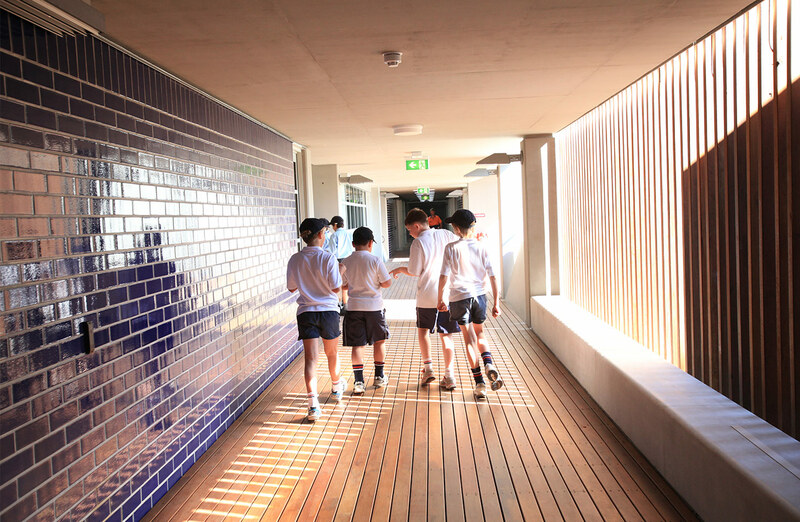 These include Learning Rooms, Piazzas, Decks and undercrofts to enhance opportunity for student learning to occur beyond the conventional ‘classroom ‘. 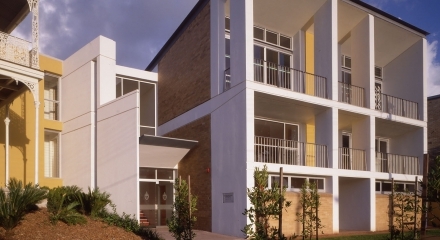 The transition in materials and scale as students progress through the Junior years is designed to prepare students for the larger scale high school campus at Bellevue Hill. 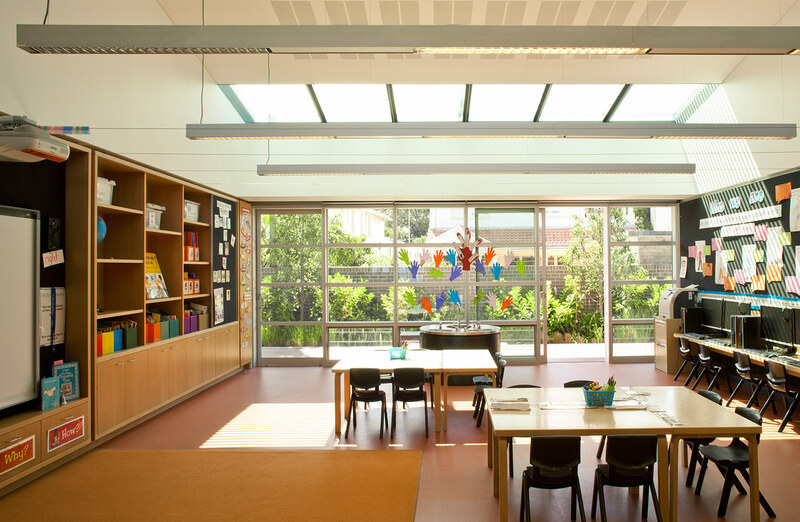 classrooms; music practice rooms; a science classroom and a library. 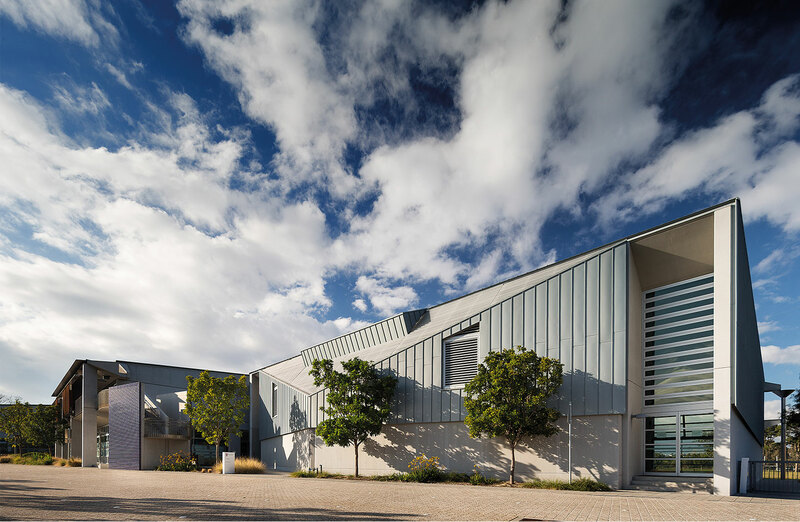 The new campus also includes on site parking for 70 cars; four tennis courts, a gymnasium with a full sized basketball court and two smaller training courts and associated sports change and storage facilities. 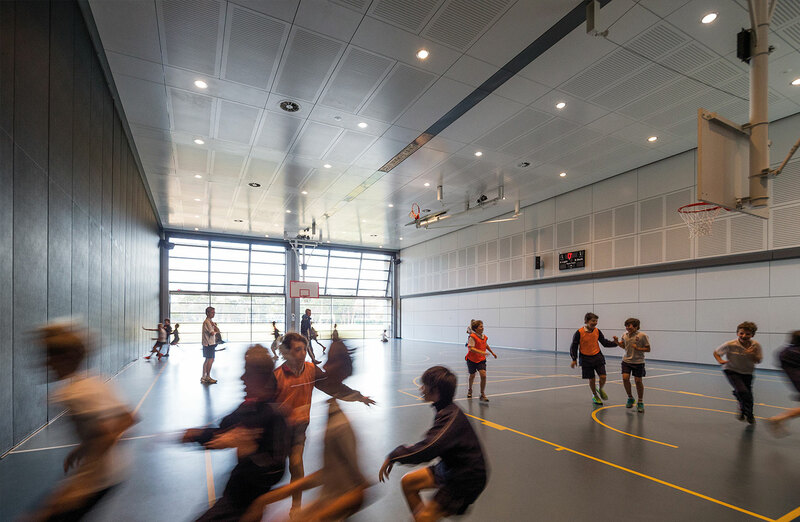 The gymnasium has been equipped to double as a multipurpose space for rehearsals, performances and special events.